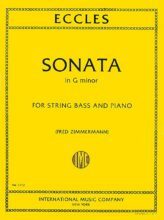 Telemann Sonata for Bass (originally for Viola da Gamba) – International Ed. 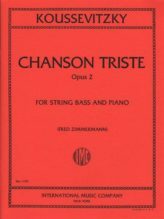 Koussevitsky Chanson Triste for Bass, Opus 2 (solo tuning) – International Ed. 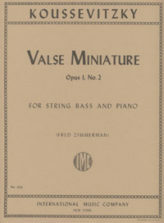 Koussevitsky Valse Miniature for Bass, Opus 1, No. 2 (solo tuning) – International Ed. 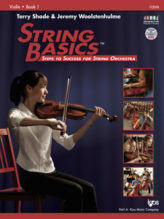 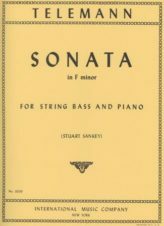 Marcello Sonata in A Minor for Bass – International Ed. 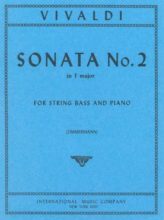 Vivaldi Sonata No. 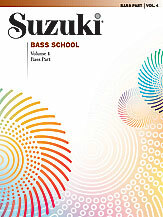 2 for Bass in F major, RV 41- International Ed. 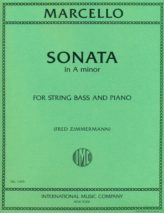 Eccles Sonata in G Minor for Bass – International Ed.